Have you seen the latest leaks featuring the Nexus 5 running on Android 4.4 KitKat? Well, if you liked what you saw there, you can now modify your current Android version too look just like in the leaked photos. You will not get any 4.4 features, just the wallpaper and icons, but still, it’s nice to have a change once in a while. Xda member Alessio94x has created a Google Experience pack that contains the Leaked Android 4.4 wallpaper, as well as the changed icons for App Drawer, Phone app, Google Now and Settings. 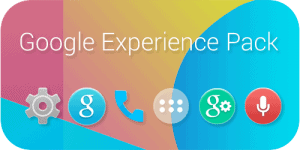 After you download the Google Experience Pack, you will still need a few apps from Google Play to install the Wallpaper and Icons. But apart from that, you are ready to go. You can also give a look to the official Xda thread where Alessio94x is posting the latest updates on this pack.